This itinerary was selected by National Geographic Traveler Magazine as one of 2015's "50 Tours of A Lifetime." Shrouded in mystery and intrigue, Myanmar has long captivated the imagination of the discerning traveler. Unfortunately, due to the dire political situation Myanmar's legendary beauty and fascinating culture has remained relatively unexplored. Although renowned for its countless temples and celebrated Buddhist heritage, Myanmar's stunning landscape and natural beauty has remained a relative secret. China may be modernizing at a break-neck pace, but the quicksilver skyscrapers and bullet trains are a thin veneer. The world's oldest continuous civilization is bound to pull a cultural artifact or two out of its hat. 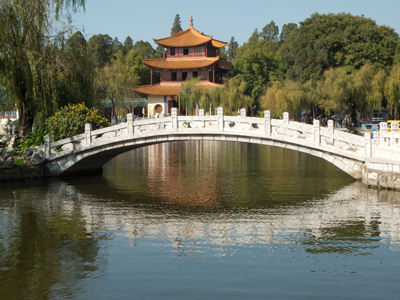 Ponder the legends surrounding the Forbidden City, let your imagination fly on the Great Wall and dive into a culture thousands of years in the making. Yangon, also known as Rangoon, is Myanmar’s largest city and most important commercial hub, located at the convergence of the Yangon and Bago Rivers. This former Burmese capital, creatively blends tradition, culture and modernity. It is home to the stunning Shwedagon Pagoda, which dates back more than 2,000 years. From pilgrimages and pagoda festivals, to ubiquitous tea shops and cosmopolitan avenues, you can find it all in Yangon. Often called the "Garden City of the East", nature lovers will enjoy the city’s pristine lakes, verdant tropical trees and spacious parks. Today, you will embark on a full day tour by car through Bagan. Learning through the eyes of your experienced guide, the focus of this tour introduces the best known temples of the area. Your adventure begins with a climb to the top of a pagoda, from where you can truly appreciate the iconic temple views. 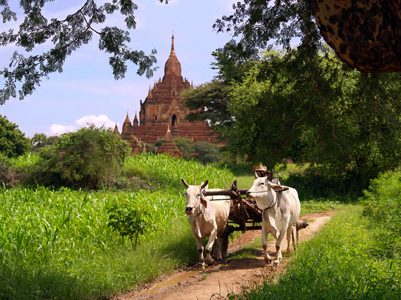 It is this enchanting scenery, that puts Bagan on the map. After time for plenty of photos, your exploration continues to other nearby temples, including some that are several centuries old. Places like the Ananda, Dhammayangyi, Sulamani, and Thatbyinnyu will certainly impress you. Located on the eastern banks of the Irrawaddy River in central Myanmar, Bagan is famous for its picturesque Buddhist temples, pagodas, stupas and ruins. More than 2,000 of these extraordinary treasures cover an area of 16 square miles, many of which date back to the 11th and 12th centuries. Bagan is the ultimate photographer's paradise. No matter if it's the colorful hour of dawn or the balmy late afternoons, the impressive pagodas that decorate the landscape, is truly picture perfect. 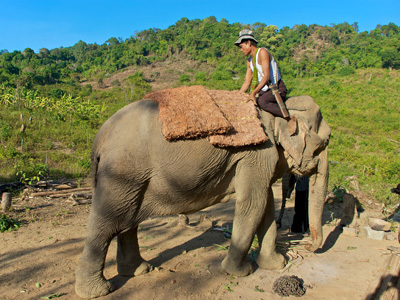 Today, a specially trained elephant conservation guide will take you on a rewarding adventure in the Kalaw forest, to encounter elephants, their mahouts and locals from the surrounding areas. Young tourism professionals from Kalaw, are the ones who decided to work towards a better future for the local area. The project they are working on focuses on protecting the nature, elephants and traditions of the people. In a major part of this private protected forest, the nature can grow undisturbed, securing a natural habitat for animals, that could otherwise be easily hunted. To begin, you will follow your guide on a trek through the forest. Depending on what you prefer, you can hike anywhere from 30 minutes, all the way up to five hours. The picturesque nature paths will lead you to the natural surroundings of the jungle. Amidst the wild jungle scenery, you may enjoy a delicious lunch of local specialties. Alternatively, your lunch can be served in a traditional village, or at the main camp. Following lunch, you will be introduced to the fascinating elephants! You will have the chance to assist a local mahout, by washing and feeding these incredible creatures. After this unforgettable experience, you will say goodbye to your new friends and return to the main road, to meet your driver and transfer back to your hotel. Sitting at an elevation of 4300 feet, the peaceful hill station of Kalaw offers a lush, cool respite from the heat of the plains. Known for its trekking, Kalaw is also interesting culturally with a diverse population of Shan, Indian Hindus, Sikhs and Muslims as well as Nepali Gurkhas who came to Kalaw to build the roads and railway line under British rule. 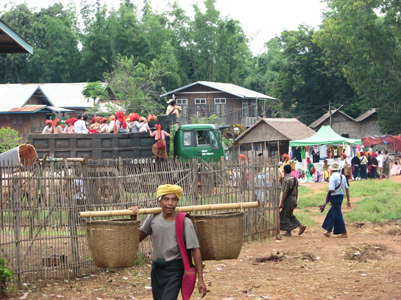 Kalaw is the main setting of the novel “The Art of Hearing Heartbeats” by Jan-Philipp Sendker. Today mountain bikes are waiting for you to start a 4-5 hour biking trip to Indein. The trip is mostly off-road and technically easy with most of the roads being flat or downhill. However, the first hour some parts do go uphill. Magical Inle Lake is a vast natural freshwater lake located in the heart of Shan State, part of Shan Hills in Myanmar bordering Laos and Thailand. It is the second largest lake in Myanmar with an estimated surface area of 44.9 square miles, and one of the highest at an elevation of 2,900 feet. A wonderful watery world of floating gardens, stilted villages and crumbling stupas, Inle Lake is a place to be savored. Watch the unique leg-rowers of the Inthas, the native lake dwellers. Revel in colorful floating markets, meditative monasteries and interesting hill tribe villages in the surrounding mountains. 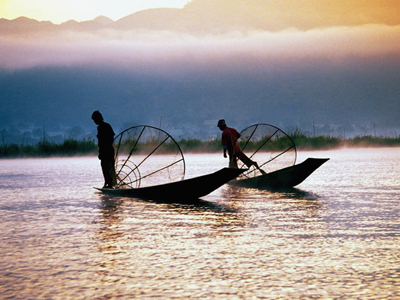 Explore the pristine surroundings of Inle Lake with a kayak to soak in the sound of nature. An active adventure is waiting today as we tour via kayak through rural villages in this part of Shan state. A 45 minute transfer will bring us to Shwe Nyaung where the kayaks are ready (2 persons per kayak) to start peddling on a creek that leads to Inle Lake. A landscape of fields filled with potatoes, rice, sugarcane, tomatoes, garlic and peanuts passes by while every now and then we stop in a traditional Shan or Intha village that hardly ever see foreign visitors. After about one hour we stop in a village for a 30 minute walk to meet some of the villagers in their house and learn more about their lifestyle. This tour is the perfect introduction to Mandalay. You will start with a visit to the old capital of Amarapura, a quiet village where you will hear the soothing sound of weaving machines. 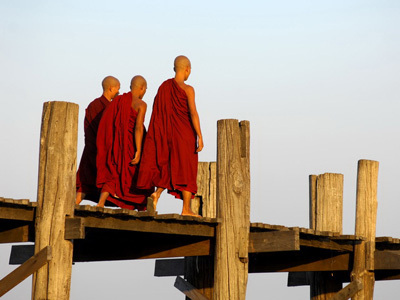 Walk through the famous Mahagandayon monastery complex with hundreds of monks, visit a 100 year old weaving vocational training institution and traverse over the U-Bein Bridge, where we taste a sip of Mandalay rum which has been produced since 1886! Mandalay, the last royal capital of Burma, lies in central Myanmar on the eastern bank of the Irrawaddy River. The name "Mandalay" evokes visions of rich history and exotic cultures. However, this relatively young royal city, considered by many to be the heart of Burmese culture, was actually built in 1857. The locals are known for their generous and charitable nature, primarily due to the fact that the area holds the world's largest number of monks to be found in any one place. 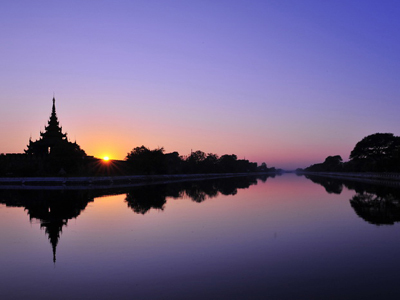 Today, you will enjoy a river cruise experience up the majestic Irrawaddy to the explore the city of Mingun. A short ride from the hotel brings you to the Mingun jetty where your boat is ready to cruise upstream. You’ll soon arrive on the banks of this unfinished city, home to a number of incomplete archaeological curiosities. Visit the partially constructed Mingun Paya, originally designed to become one of the world’s largest Buddhist stupas (religious temples). 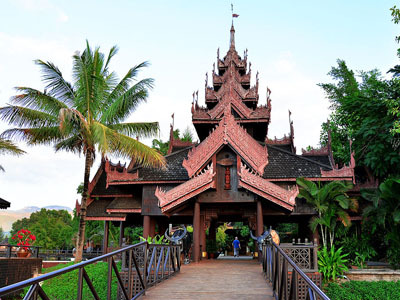 You’ll also visit the Mingun Bell, a bronze bell commissioned in 1808 by Myanmar’s King Bodawpaya that weighs around 90 tons. Kunming enjoys all the benefits of a modern Chinese city, without the pressure of living up to the standards set by Hong Kong, Beijing or Shanghai. This is laid back Chinese living, and a few days in Kunming is really worth one's time. Americans and Europeans who want to live in China are beginning to choose Kunming over other Chinese cities for this more familiar lifestyle. Other than the city life, there are some beautiful Karst landscapes in the mountains surrounding the city, and a few days can be lost exploring the temples that dot the city itself. 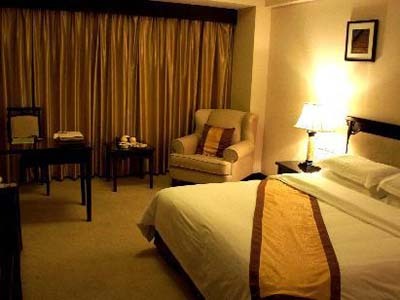 Today you will be met at your hotel to embark on a tour of the Jiuxiang Caves and the Stone Forest. Enjoy lunch at the Stone Forest Hotel. 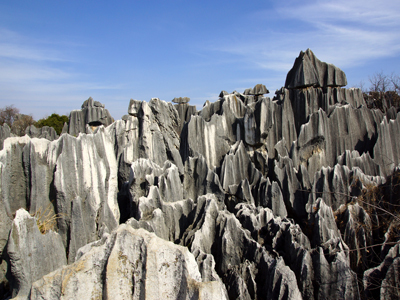 Jiuxiang Caves are situated in Jiuxiang Township, about 70 kilometers from Kunming. There are more than one hundred karst caves in Jiuxiang scenic area. The caves at Jiuxiang are the largest cave group system in China. Inside the cave are many well-developed and wonderful stalactites and stalagmites, which look like pretty fairies welcoming their guests. Names have been given to them such as "Fairies Welcoming Guests", "Woman Weaver", and "The Fairy is coming out of bathing". Note: The final stage is to climb up Bat Cave. This is the most challenging part as there are about 336 steps. Sometimes there are laborers who offering sedan chair service. 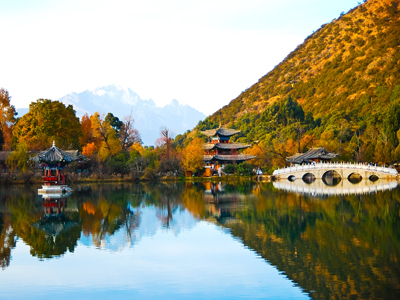 Lijiang is situated in the middle area of the county, which is more than 2400 meters high above sea level. It enjoys beautiful scenes, an indeed famous city with long history and splendid culture. It is very rare in China that such well-preserved minority ancient cities still exist. The old town is quite busy in the afternoon and evening with an active atmosphere of the lights and crowd. An early morning visit will be less crowded. Then visit Wangu Tower. 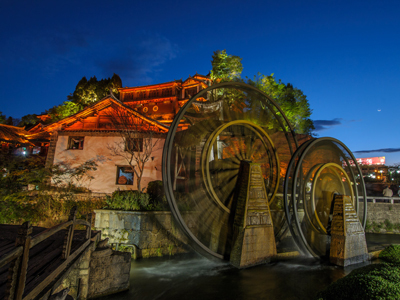 Located on the top of Lion Hill, Wangu is the landmark building of Lijiang ancient town. This pure wood building is 33 meters (108 ft) tall, overlooking the scenery of Lijiang at its foot, and looking out to Jade Dragon Snow Mountain in the distance. 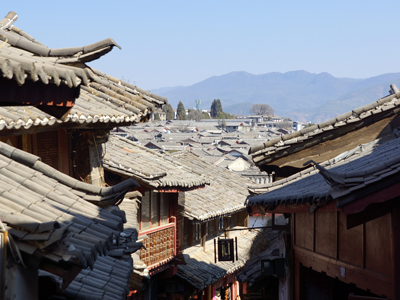 Lijiang is famous for its winding maze of cobblestone streets that let one wander, and get lost, in its twisting turns. "Famous" is certainly the right word, as the large volume of tourists fill up the narrow streets pretty quickly in the morning. Though there are plenty of opportunities to leave the Old City district, we encourage our travelers to settle in and take part in the frantic shuffle. This is a rare opportunity to experience an ancient city that still functions at full capacity every day. One can really feel the energy left here by millions of people over centuries of activity. Today after breakfast you will enjoy a tourist cable ride up Jade Dragon Mountain and visit the Baisha Murals at Baisha Village. Noted as the highest tourist cable in China, the Large Cable way goes up to Shanzidou (Shanzi Peak) the main peak of the snow mountain, with the an entire length of 2,914m, a top altitude of 4,506 km, and a perpendicular ascent of 1,150m. The cable car will take you into the clouds, where you will be far away from the worldly hurly-burly, and find yourself in a real paradise. Many visit Ganhanzi, Baishuihe (White Water River), and Glacier Park from this cableway. Since founded in 1995, the Savoy Hotel Yangon has been in private ownership, as a boutique heritage property. Each of the hotel's 95 full time employees are committed to quality service and exceeding expectations. A total of 30 deluxe rooms, including six suites, offer an experience of old world charm, styled with traditional Myanmar antiques, teak furniture and spacious bathrooms. The Savoy is idyllically located overlooking the iconic Shwedagon Pagoda and the nearby People's Park, just ten minutes drive from the city center and 20 minutes to the International Airport. Nicely overshadowed by tall ancient trees, the pool and outdoor lounge area offer a silent oasis in the middle of the bustling city. Surrounded by more than 4000 ancient temples and Pagodas, you will be enchanted by the breathtaking views. The Hotel @ Tharabar Gate is within 5 minutes walking distance to the spectacular Ananda Temple known as ‘The Jewel of Bagan’. 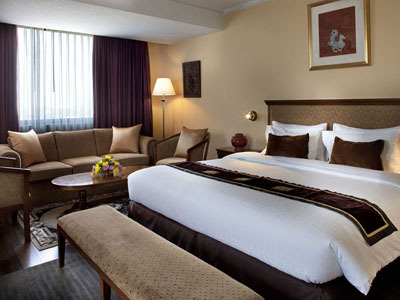 The Hotel offers 83 luxury rooms including 4 Suites. Every room is decorated with teak floors and typical Burmese furniture. All rooms are fully air-conditioned and feature an IDD Telephone line, Sat- Television, Safety Deposit Box, Mini Bar and a private Garden. Each room with its high ceiling and different hand painted wall painting which are all copies of original Temple Painting of the Bagan period. 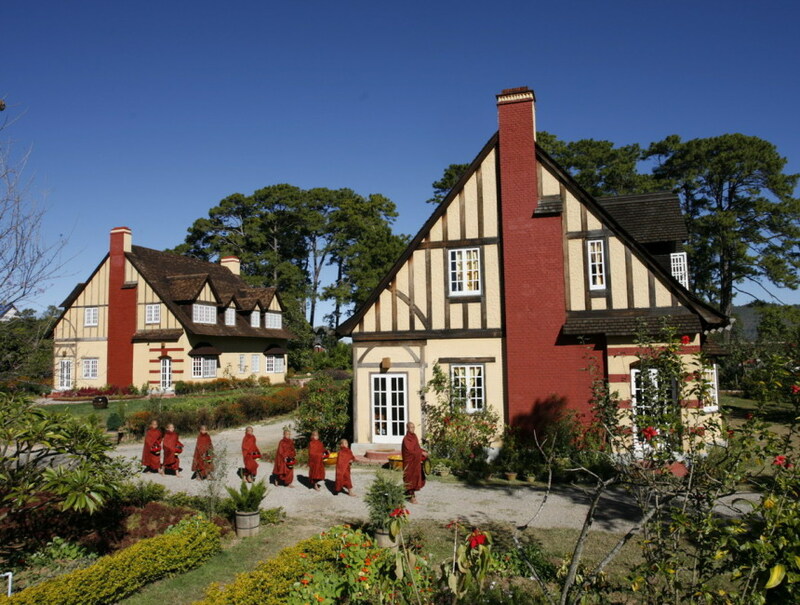 The Amara Mountain Resort is a former colonial residence in Shan mountain range, Kalaw, Myanmar. Each of its 10 spacious rooms are individually decorated in Asian and European style. They each have an open fireplace and a private bathroom made of marble and wood. 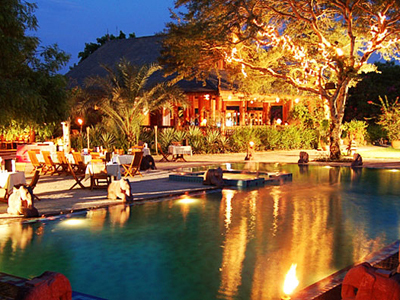 The restaurant features both Western and local dishes and is located amongst the property's trees and gardens. Magnificently located on the shores of the Inlay Lake, this Boutique Eco-Resort & Spa is one of the finest resorts in this unique tourist destination. Custom built and designed with the detailed flair of traditional native style architecture, the Inle Resort & Spa is recognized by it's signature roof, prominent on the Lake; a welcome beacon to all guests. Located in an ideal spot, the resort has character and quality facilities, topped with personalized service. 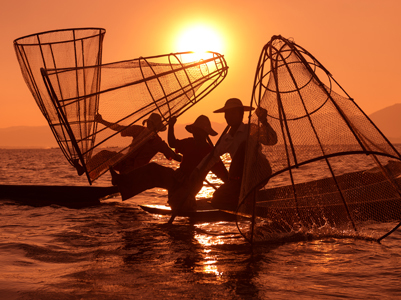 As a long-term stakeholder, Inle Resort & Spa is fully committed to responsible tourism for the ecological and cultural protection of the Lake environment. Myanmar is like no other place on earth. Renowned as “The Golden Land” a name inspired by Marco Polo to describe the dramatic view of the gold-spired pagodas that can be found throughout the country. Mandalay, the former capital city of the Myanmar Kingdom, is a spectacular destination for historical and cultural travelers. Mandalay Hill Resort lies at the foot of Mandalay Hill with a panoramic view of a myriad of pagodas and faces the distinctive architecture of the Royal Palace and its beautiful moat. Your visit enhanced by the fun-loving hospitable people of Myanmar whose lives remain simple and relaxed will become treasured and timeless memories. Just one hour by air from Yangon and twenty minutes flight from Bagan, Mandalay lies within reach of some of most remarkable archaeological sites in the world that has inspired visitors to Myanmar for nearly a thousand years. This 28 story hotel near Wujiaba Airport was built in 1998 and underwent a partial renovation as quickly as 2004. Many of the hotel's employees speak English and its management is proud of the amount of hotel experience they collectively have. All the rooms are designed with international travellers in mind, and the hotel has made sure Western amenities are the norm throughout. 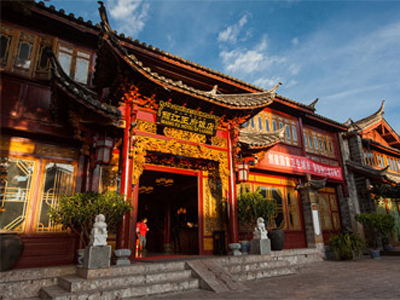 Located conveniently in the South Gate Square in Old Town Lijiang, The Wangfu Hotel is unique and charming with it's colorful and traditional Chinese architecture and decor throughout the premise. Feel relaxed and immersed in culture when winding your way through our small courtyards, passing between gates and listening to the water run through the waterside pavilions. This is just one of many authentic travel experiences offered by Global Basecamps. If you are interested in more unique destinations to Myanmar with unprecedented planning and extraordinary service visit our main Myanmar tours page to browse other sample trips.